Univerge Blue – Do Tel Inc.
UNIVERGE BLUE Business Cloud Services by NEC delivers enterprise-grade Voice, Mobility, Messaging, Presence, Conferencing, Collaboration, Contact Center and more. Quick deployment, reliability and world-class security make UNIVERGE BLUE the smart choice for businesses in today’s competitive environment. Backed by 100 years of experience, innovation and infrastructure investment. Empower your business with UNIVERGE BLUE Business Cloud services by NEC. Unified Communications as a Service (UCaaS). A business-grade, all-in-one solution: Voice, Mobility, Messaging, Presence, Conferencing, Contact Center and more. A robust cloud-based Contact Center solution. Flexible, secure and easy-to-use. Empower your agents to focus on building customer relationships and loyalty. UNIVERGE BLUE provides enterprise-grade phone services no competitive business should be without. 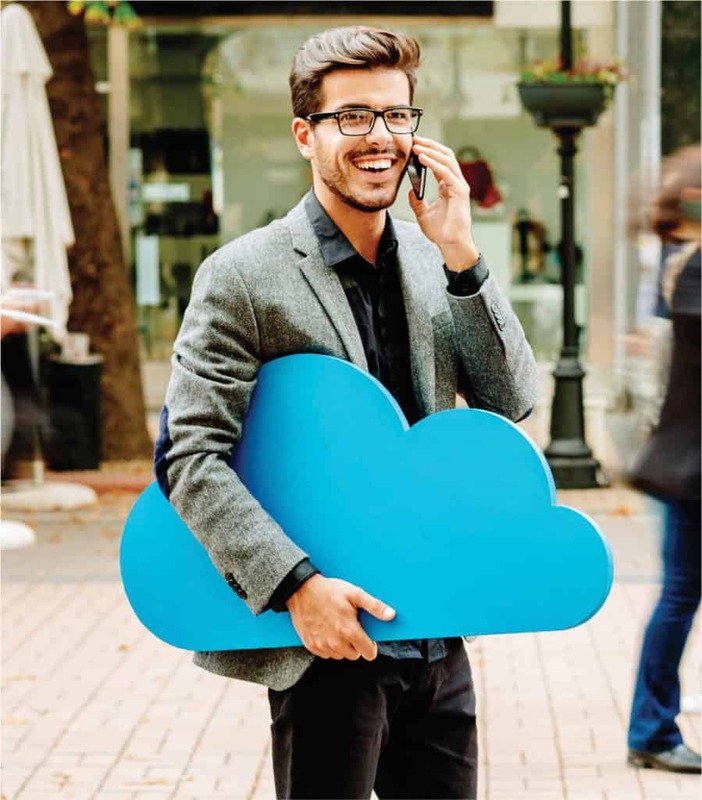 Communications in the Cloud means anywhere, anytime access on any device. Mobile devices. Desktop and computer phone systems. Multiple locations. Remote workers. All your phone needs for a single low monthly payment. Don’t be locked into an office. Stay connected regardless of your location. As new devices and new technologies are developed, they can be easily integrated into your service via the cloud with no downtime and no interruption to your operations. 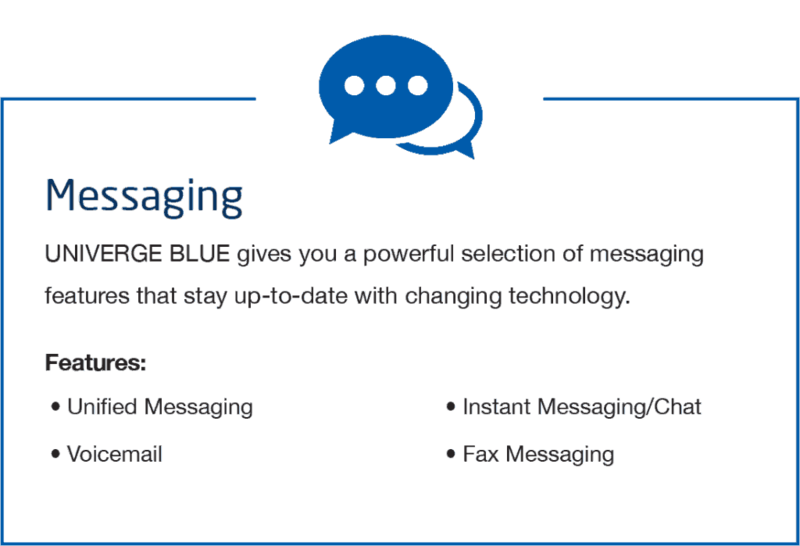 UNIVERGE BLUE gives you a powerful selection of messaging features that stay up-to-date with changing technology. A single inbox for all messages and email, personalized greetings, instant messaging, chat and more – all accessible anywhere, anytime, on any device. Remove location barriers. Across the room or across the country; know who’s available, check team calendars, stay connected with real-time status updates. UNIVERGE BLUE keeps you in touch. Connect, conference, collaborate – 4 participants or 50 – UNIVERGE BLUE puts you in the same virtual space, empowering effective communication. Agile, flexible, easy to use conferencing. Share screens, presentations, desktops or white boards. UNIVERGE BLUE keeps you in contact without having to be in the same room. Build relationships with your customers. 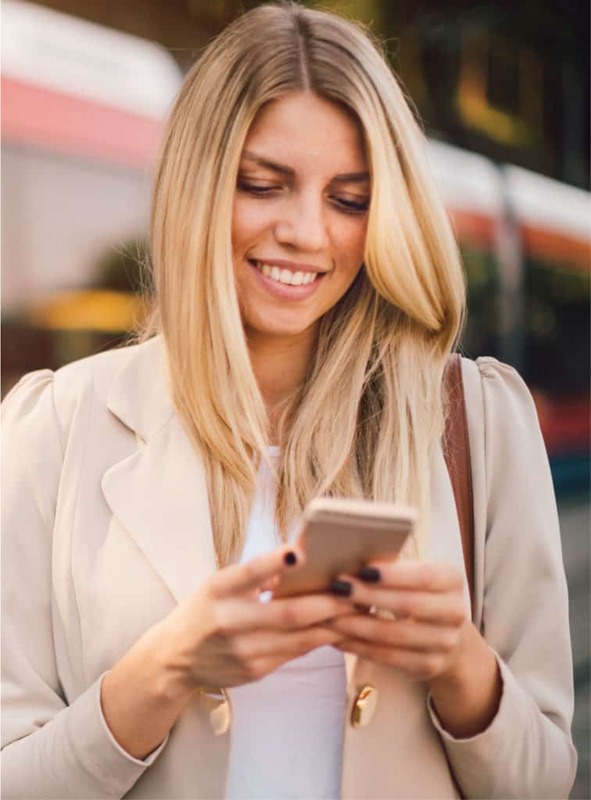 UNIVERGE BLUE provides a powerful contact center solution with capabilities ranging from basic agent functions to cutting-edge, premium services. Screen-pops, integrated desktops and presence, agent monitoring, call recording and powerful reporting are just a few of the features available with UNIVERGE BLUE Contact Center. Part of a globally connected network, UNIVERGE BLUE data centers are instantly backed up and mirrored in multiple locations to ensure a disaster- proof backbone for your vital business communications. Built-in Disaster Recovery and geo-redundant servers boost business continuity for your UC system. Choose from powerful Disaster Recovery applications to protect your communications and data. Choose from optional methods for delivery, including public, hybrid or private Cloud models. Contact the Leading Business Communications Provider Today! Thank you for your interest in DoTel Communications. Please fill out the contact form below or give us a call at 250.962.8484. © 2018 Do Tel Inc. | Do Tel Inc. is a wholly-owned entity of Ascentech Solutions Inc.
Website designed by Shift Creative Solutions Inc.